Does your loved one have their own in home ventilation respiratory system unit? Beacon Support provides assistance and guidance for those providing support for individuals with lung ventilation units as well as in home care assistance. Lung tissue is damaged resulting in breathing problems. Small containers either labeled or distinctly different. We recommend following the cleaning instructions that were provided to you for specific how-to information. Each type of ventilation respiratory system unit provides you with a different level of support for breathing. Total Support. 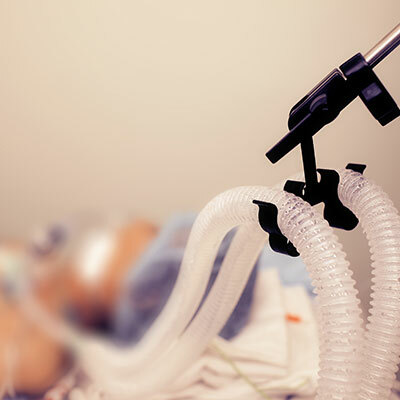 The lung ventilation unit completes all breathing for the individual. Partial Support. The unit provides some breathing support for the individual. The individual is able to breathe on their own, between breaths provided by the unit. Independent Breathing Time. The individual can breath on their own for specified periods of time, predetermined by a healthcare professional. It should be noted that independent breathing time can change over time and it should be regularly monitored and adjusted as required. Alarms are set to go off when you home ventilation respiratory system unit is not operating regularly. As annoying as the alarms may seem, they are of critical importance to ensure the machine is properly functioning. Still worried about your in home ventilation respiratory system unit? Beacon Support provides guidance and assistance to both the individual as well as their family members on best practices and developing a routine with this new machine. Call us today to learn how you can get started.